This week on the SPIE Faces of Photonics series, we interviewed UK native Joseph Razzell Hollis. Joseph, better known as Joby, is a postdoc at NASA Jet Propulsion Lab (JPL), working on the Mars 2020 rover mission. 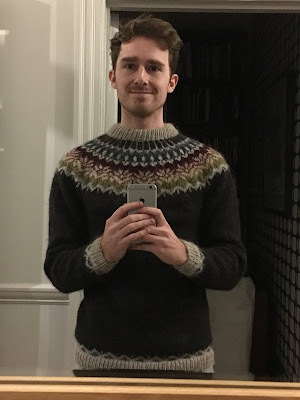 His passions include knitting, Raman microscopy, and advocating for greater LGBT+ inclusivity in STEM. He is a trustee for Pride in STEM, an award-nominated charitable trust that supports LGBT+ people in the STEM field. In addition, you can find Joby tweeting from the @LGBT_Physics account, which celebrates diversity in science. Enjoy the interview with Joby, and don't forget to follow him on Twitter! I studied chemistry as an undergraduate, and it was synthesising quantum dots that made me realise the incredible beauty of how atoms and light interact. It was all downhill from there! I quickly became a spectroscopist specialising in Raman microscopy. I recently did a Q&A about Mars rovers with a science class at a school in Norfolk, UK. I was astonished by the thought these 12 year olds put into their questions; it really fills me with hope for the next generation of scientists! I am working on a Raman spectrometer named SHERLOC, which is going on NASA's next Mars rover in 2020. SHERLOC will look for the chemical signatures of life on Mars. Even if we find nothing, that answer will help us better understand how life came to be on Earth, and where to look next. 4. Share an unexpected discovery you’ve made in your life, either scientific or personal. 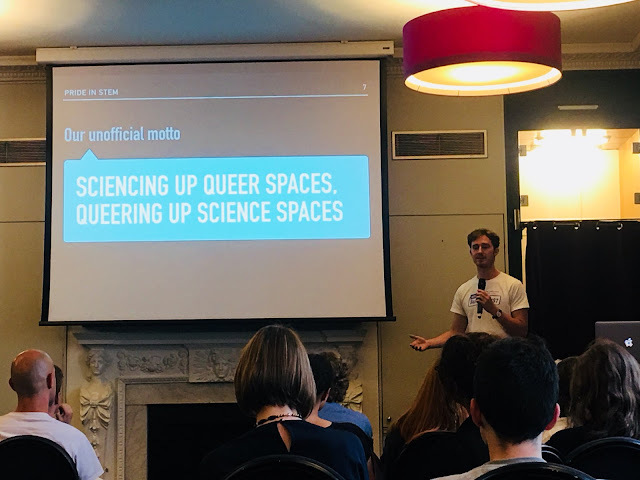 I never considered my bisexuality important to my work, but I didn't realise how isolated I felt until I went to the LGBT STEMinar, a special UK conference for LGBT+ scientists. That sense of community and mutual support reignited my love of science, and helped inspire me to apply for the NASA fellowship. As a Raman microscopist, I am fascinated by the advanced techniques being developed in this field. If I had to choose, I'd say femtosecond optics are what I most look forward to. They allow us to explore molecular behaviour in ever greater detail. STEM has a serious diversity issue and it needs to face that. I try to advocate for greater LGBT+ inclusivity and diversity in science. We are people, as well as scientists. It's high time we all commit to respect each other as people, support those who are struggling, and challenge discrimination wherever it occurs.